U.S. Secretary of State Rex Tillerson has conveyed to United Nations Secretary General Antonio Guterres that Russia will decide the fate of Syria and President Bashar al -Assad. Tillerson told Guterres about Washington's desire to give Russia a major role in Syria in a private meeting at the State Department last week, adding that the Trump administration will keep its focus on preventing chemical weapons attacks and defeating the Islamic State in Iraq and Syria (ISIS), the Independent has reported. 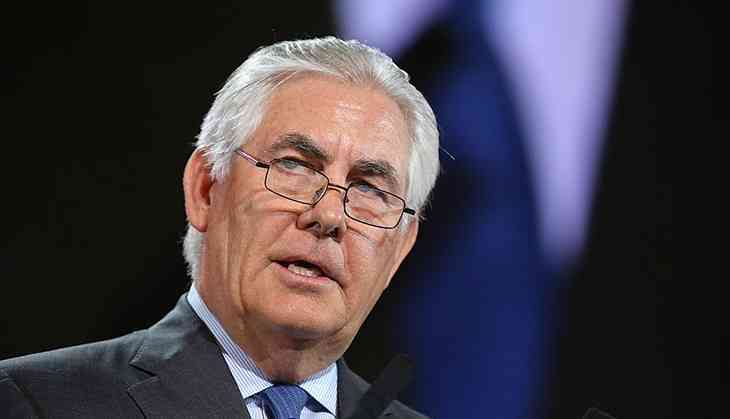 Tillerson said that though the U.S. is committed to the 2012 Geneva Process, it supports a credible political process that can resolve Syria's future. As the Syrian conflict enters its seventh year, Tillerson said "Russia, and other western countries would put a transition government in place, the fate of Syrian President Bashar al-Assad would be in Russia's purview." "Ultimately, this process, in our view, will lead to a resolution of Assad's status," Tillerson has said. U.S. President Donald Trump will meet Russian President Vladimir Putin during a meeting of the G-20 this week in Hamburg, Germany, and Syria is most likely to come up for discussion. In June, White House Press Secretary Sean Spicer said in a statement that the U.S. had "identified potential preparations for another chemical weapons attack by the Assad regime" in Syria.